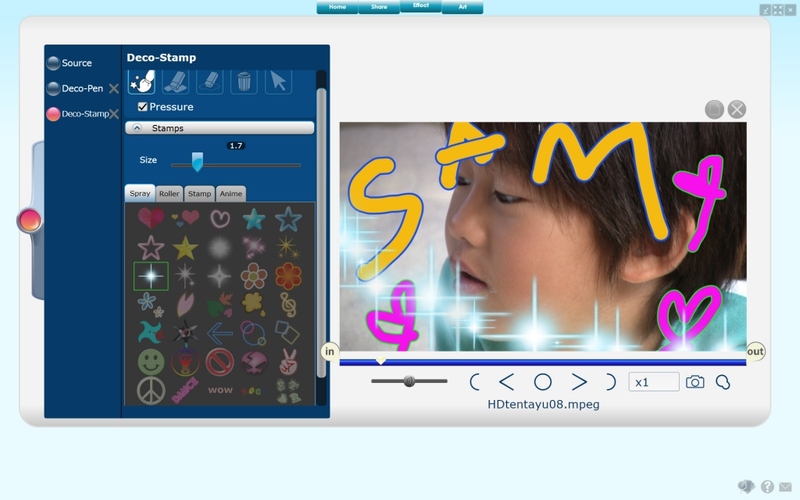 The web certainly sees no shortage of video editing software, but there are some factors that make LoiLoScope, a movie editing program made by a Japanese startup called LoiLo, stand out from the crowd. Other than in its home market, LoiLoScope has been flying pretty much under the radar so far, even though it looks flashier than most of the video processing tools out there, offers a ton of different functions (in the full/paid version, at least) and is designed to be easy to use. 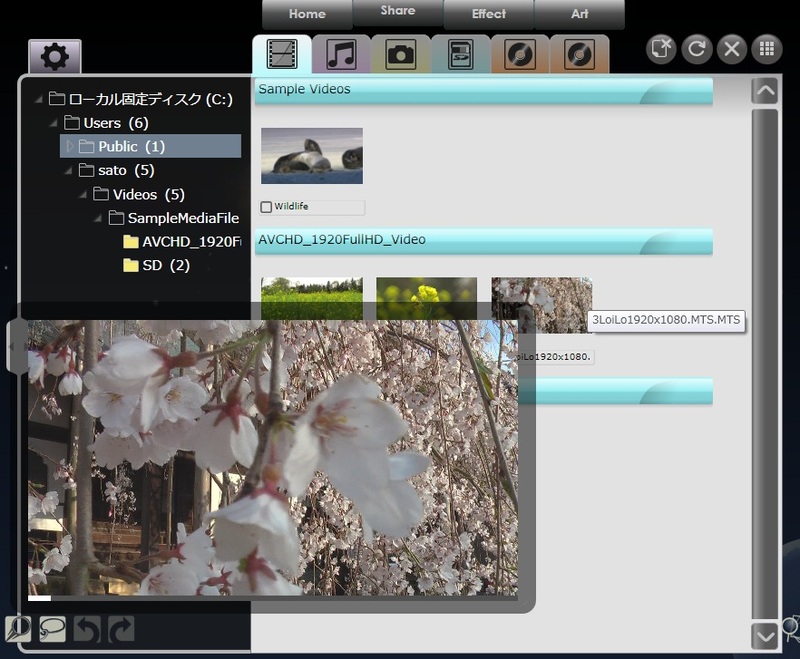 The software is available in 16 languages, including English, Chinese, Japanese, and German (system requirements). But the biggest bullet point is that it’s fast, thanks to the support for both Intel, NVIDIA and ATi GPU-assisted editing and encoding, which does much of the heavy lifting for the CPU. In fact, LoiLo claims LoiLoScope is the “world’s fastest video editing software” and that it’s up to ten times faster than editors that rely just on the CPU. Users can edit movie files in full HD resolution in real time. It’s possible to trim, combine and resize videos or add graphics, animations, text, pictures, music, and other effects to them – on the fly. All videos (and other media files) can be controlled via the “LoiLoScope Media Browser”, burned on DVD or added to your cell phone, iPod and other devices directly from within the program. And those are just a few things LoiLoScope offers (scroll down for a full feature list on this page). 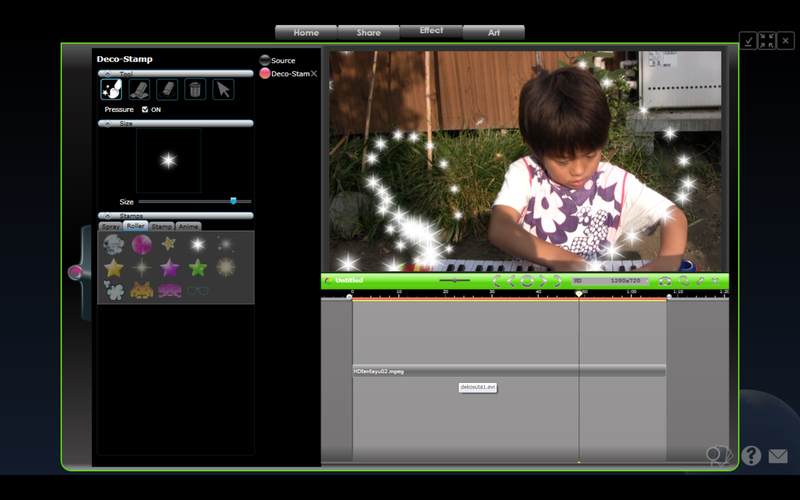 I am by no means an expert in this field, but during my test, LoiLoScope looked like a pretty powerful video editor with a simple, game-like UI to me. The latest version also includes a bunch of features that make it easier to share videos online. For example, it allows bulk uploads of pictures and videos to Facebook and lets you share password-protected HD videos uploaded to Vimeo with selected friends through email. Links of videos uploaded to YouTube can now be automatically posted to Twitter and Facebook. Windows users should give the program a whirl. There’s a paid version (Super LoiLoScope for $88), which can be tried out for free for 30 days before it turns into LoiLoScope with limited functions. 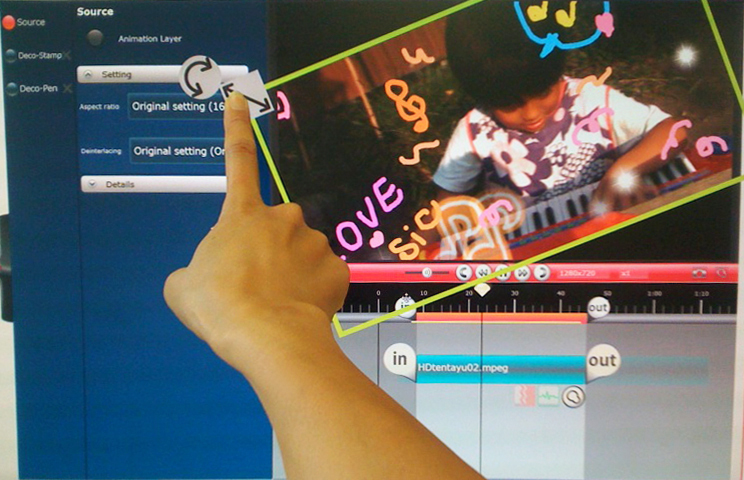 LoiLoTouch with touch control (the coolest version) is available for Windows 7 for $118. LoiLo will give the first 30 people who take part in their special TechCrunch reader survey the full version (Super LoiLoScope) for free.